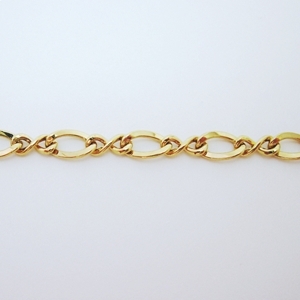 Chains have a Lifetime Warranty and are guaranteed never to lose their 18kt Gold thick layer. The chains are coated in acryseal, a clear laquer, to help protect the gold layer. The base metal consists of Jeweller's Brass, which makes these chains very affordable. The look of Gold for a fraction of the price!